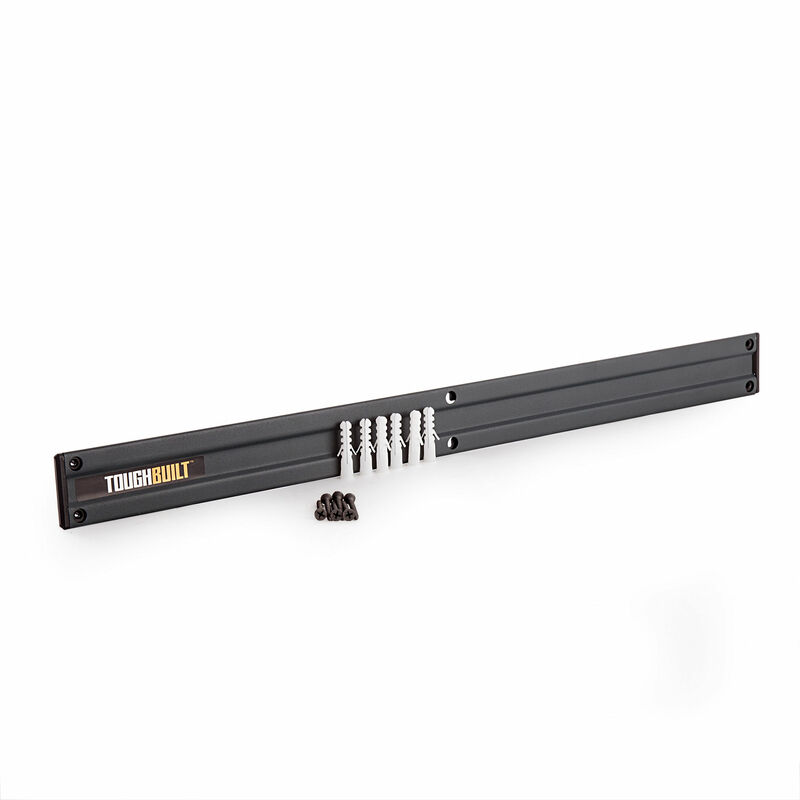 The ToughBuilt TB-53 transforms the way professionals organise their tools. It can be solidly mounted onto walls inside buldings or in the back of vans with the included screws and wall anchors. This organizer is designed to work with all ClipTech™ pouches. It gives the professional a quick clip-on, clip-off way to systematically arrange their tools on the wall, and quickly grab the pouch and tools you need for the job at hand. It provides superior visibility and accessibility. Constructed of durable powder-coated steel, multiple Wall Organizers can be combined to organize complete tool collections.